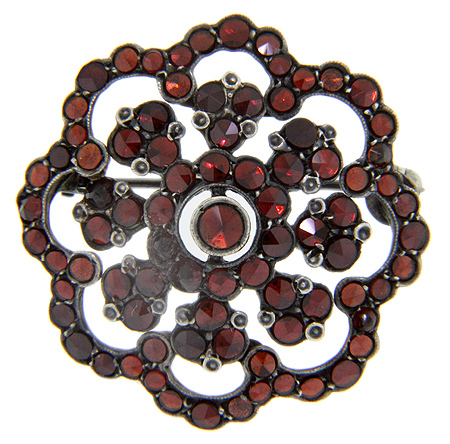 Curving, rounded edges outline this antique sterling garnet pin. Trios of garnets form the penultimate ring while a circle of ten garnets surrounds the center stone. The back is stamped “935”. 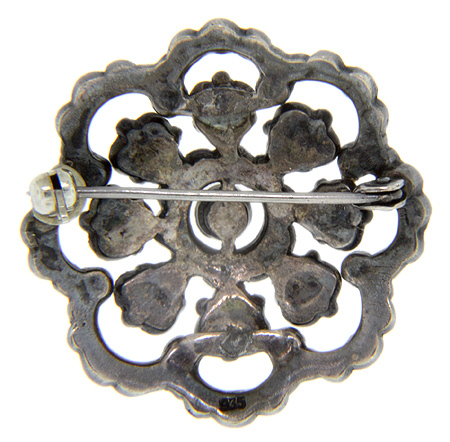 The pin measures 1 1/4" in diameter. Circa: 1880.